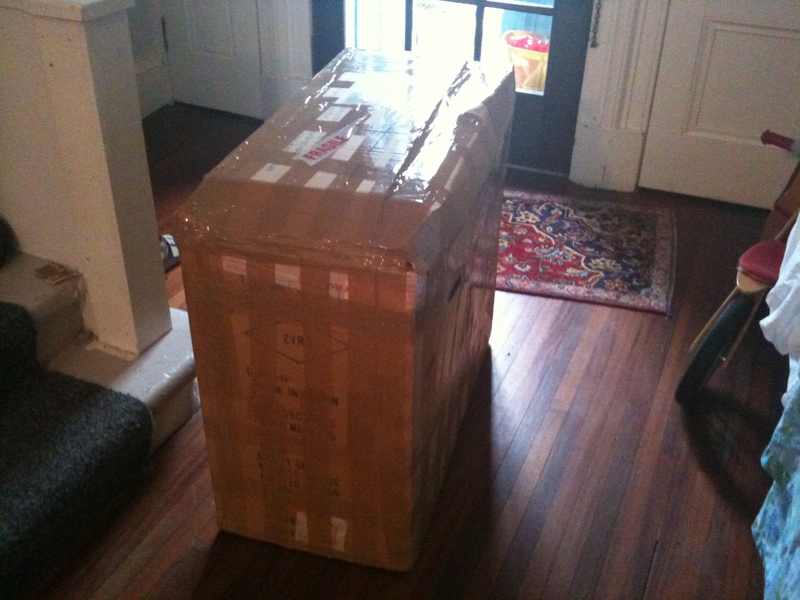 Arrived in a big box as seen below. 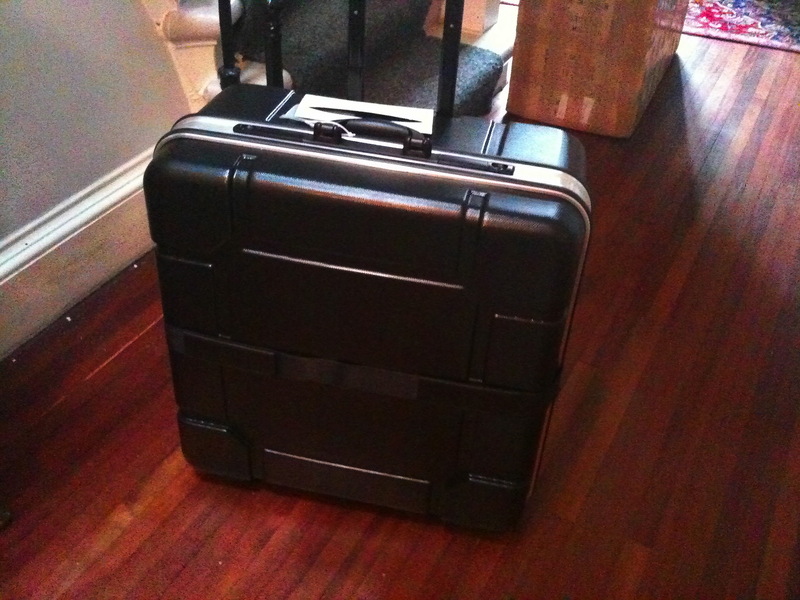 then the case of unfolding for the first time – hadn’t ever tried one so took MORE than 20sec to work out what to do. After visiting friends in both New York and San Francisco, furniture maker Chris Brigham realized that there was very little effort going towards proper bike management and maintenance coast to coast. 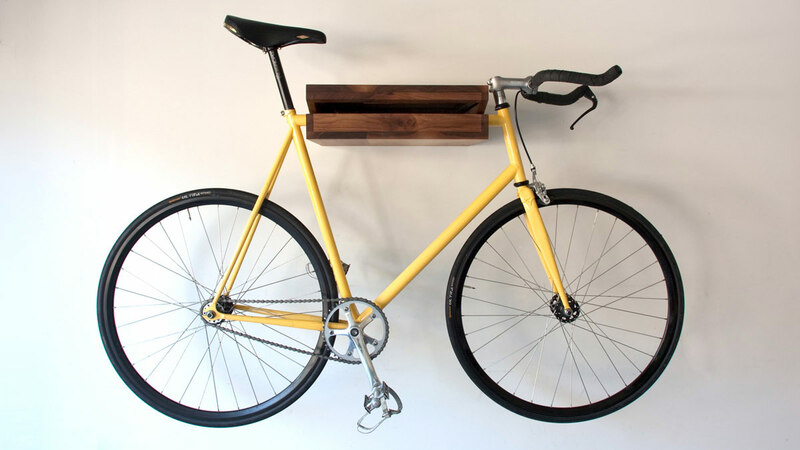 The resulting Bike Shelf by the one-man design team (whose graphic design background includes a stint at Google) joins his home furniture line, Knife & Saw. 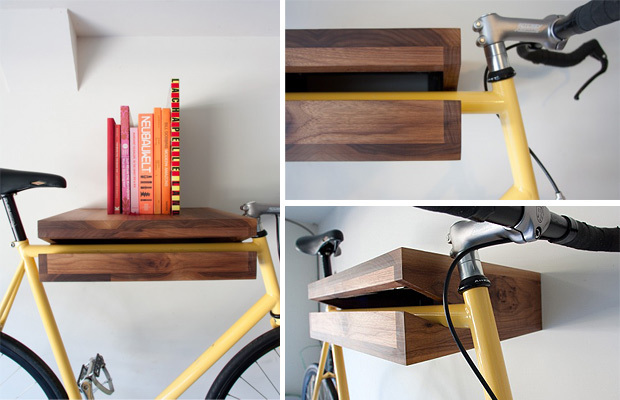 A cleverly efficient way to store bikes, the solid wood conceals a steel square rod mount for elegantly hanging a bike, doubling as a table-top space for books, keys, flowers and more. Currently available in solid wood options of Walnut ($300) and Ash ($275), Brigham will custom make it to fit your bike size, and can use different wood preferences if requested. 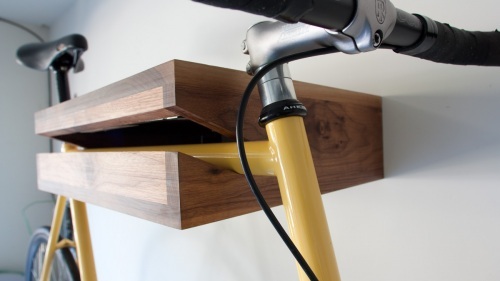 The shelf is made to align with 16″ spaced studs, but can also be adjusted to personal liking. 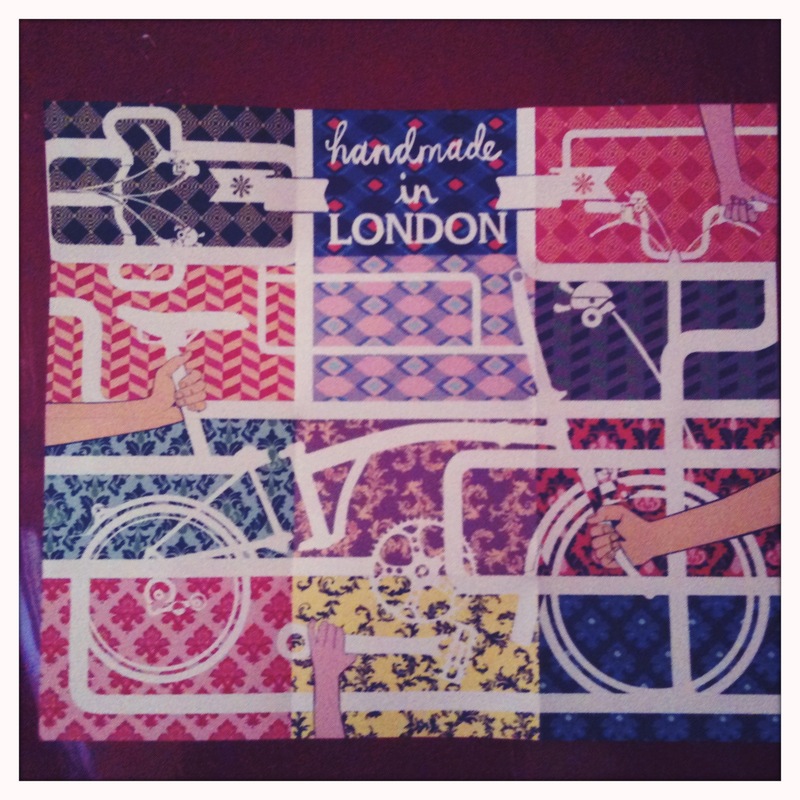 Get it from Knife & Saw’s site. 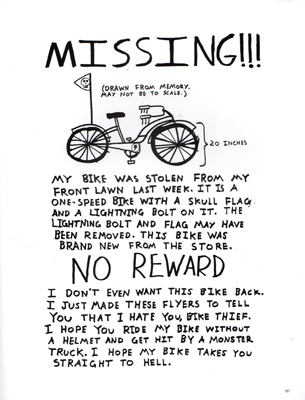 This is not a plea for return – dead funny – thieved from the good hunting site. 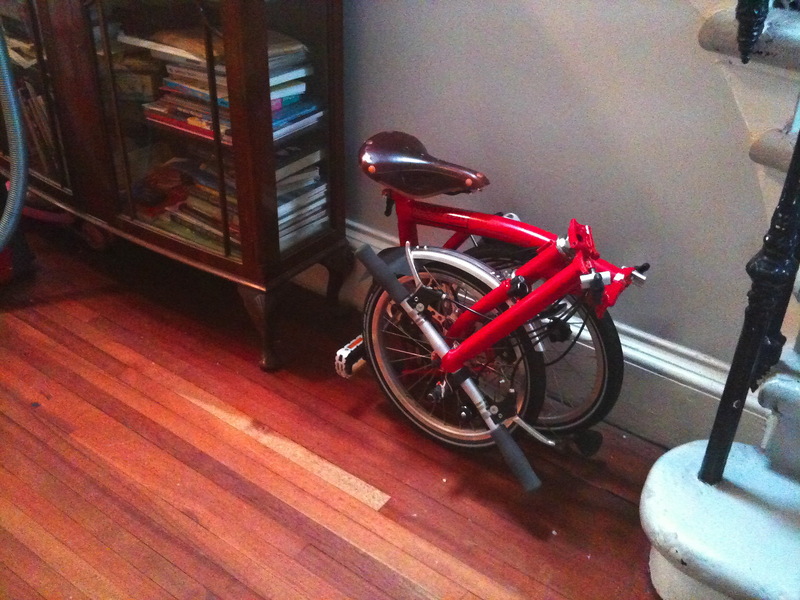 Now that I am looking at folding bikes I am seeing them everywhere. 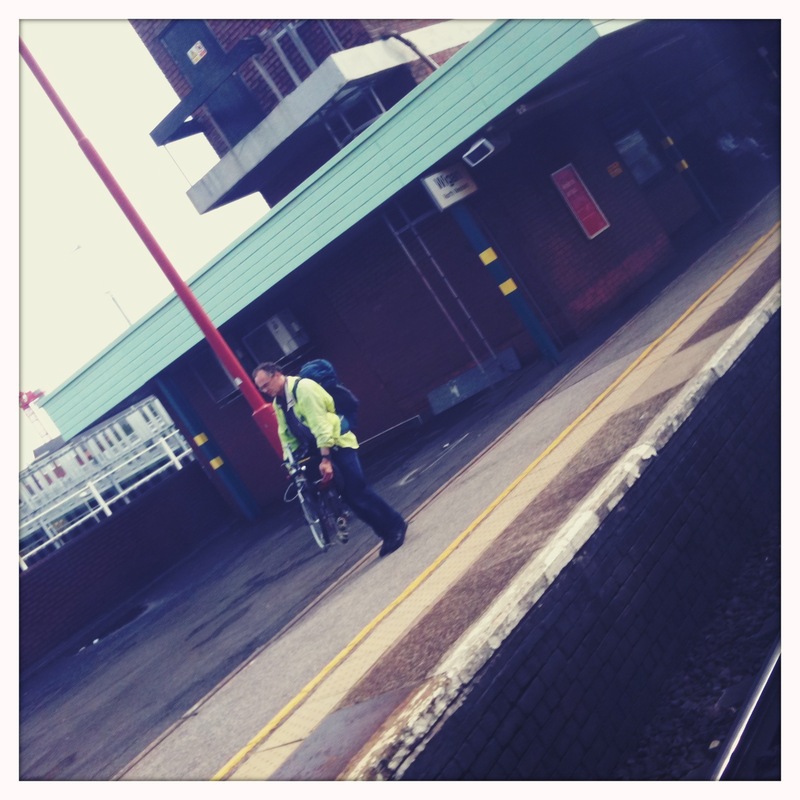 On a train platform with a Dahon I think…. 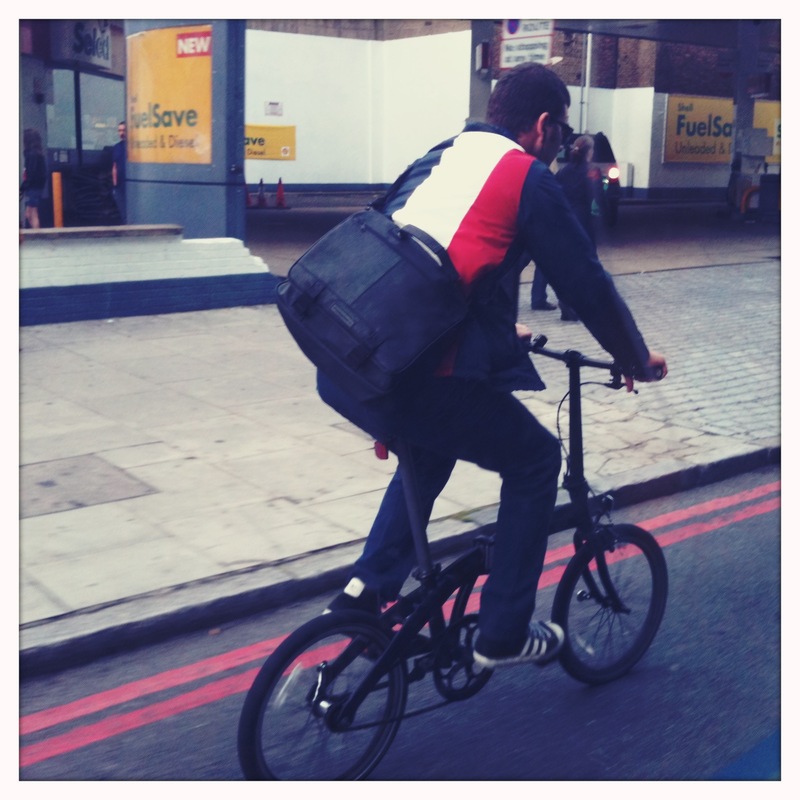 Was in London this past weekend and was so surprised to see how cycling has changed in the capital. 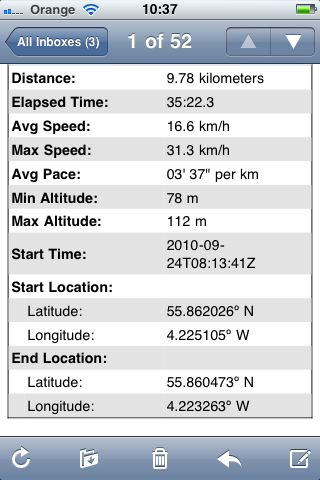 When I lived there I commuted from muswell hill in the north to the BBC in White city – an 11 mile blast across hampstead Heath and down through st johns wood and notting hill. Took 30 mins and I was luckily fast enough to stay out of trouble… Now there are hundreds of cyclists and all car drivers are so aware of other people on the road. Even the taxi driver on the the 10min ride to Euston had no complaints and he gave them loads of room. 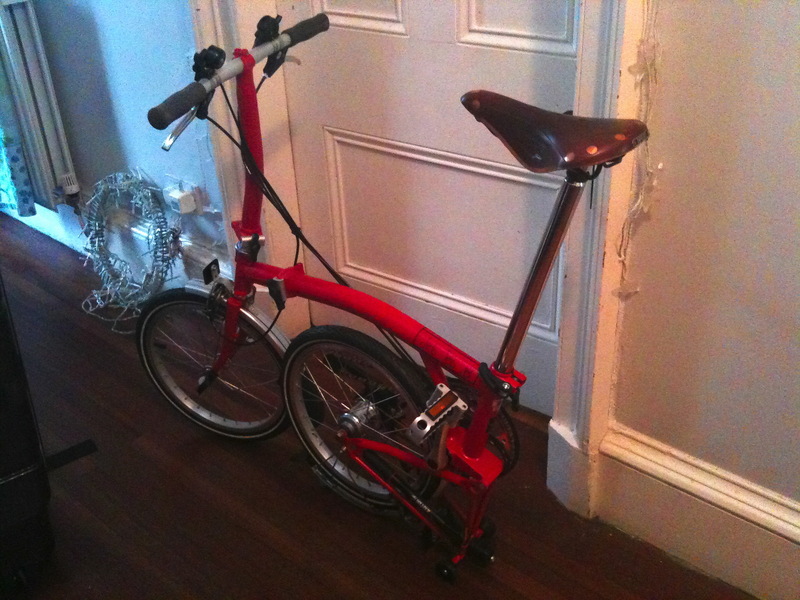 Now that I am getting a brompton was more aware of all the folding bikes and saw 20 on that ride alone….